Security with a sense of style. 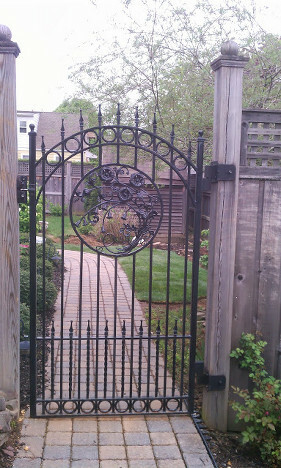 Bill, The iron gates that you designed, fabricated and installed at our home are absolutely beautiful. The timely schedule and professional installation exceeded our expectations. The advice you provided for the opening mechanism and the options were spot on. Your design compliments our property and gives us an extra sense of security particularly with the deer which had previously decimated our landscaping and gardens And thank you for being so responsive in answering a service call after I had a mishap with our snow plow requiring repair to the gate. Now it is as good as new. You are truly a gentleman and a professional craftsman that I would recommend without exception." 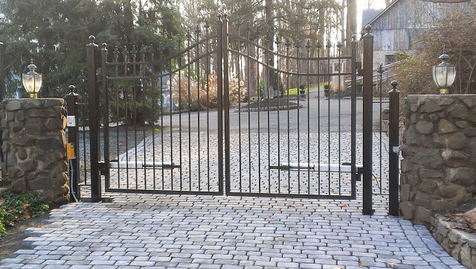 You'll always know that you're getting the perfect gate for your residence or business because you design it yourself! 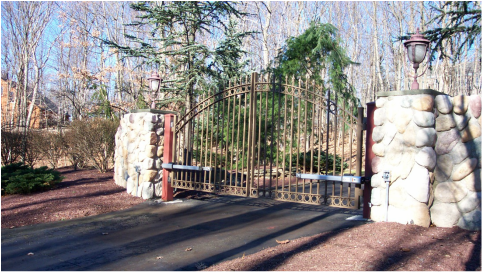 Let us build your beautiful gate to your specifications. 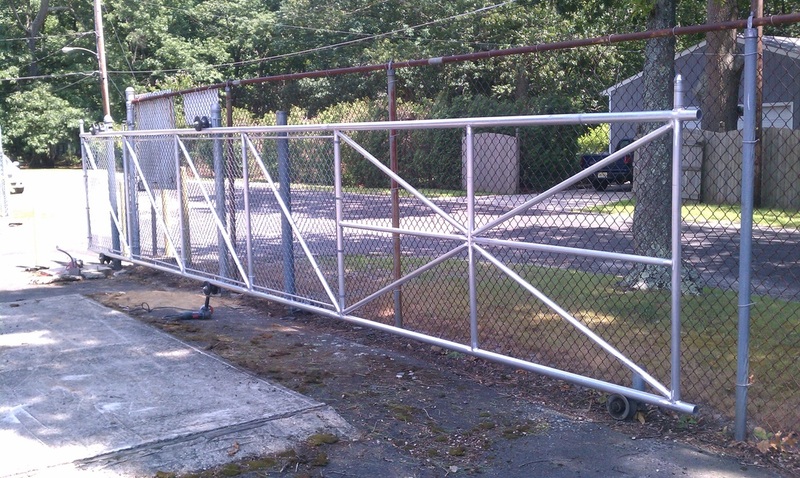 Afterward, why not add a gate operator from HySecurity, DoorKing, FAAC or Linear / Osco?